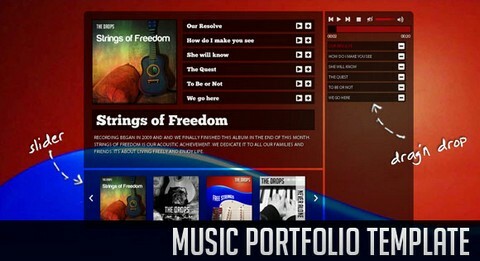 You can also check out HTML5 Music Portfolio Template with jQuery. The idea is to create an artist portfolio with a discography line up and HTML5 audio player jPlayer. The artist albums are shown using the jCarousel plugin and the user can add song samples to the play list and reorder the songs by dragging them. Very cool stuff. Thanks for letting us all know.